Parenting is the absolutely hardest job you will ever do. Molding and directing young minds is a huge responsibility, and they certainly did not come out of the womb with instruction booklets. Jim and Jerolyn have written a practical book to help you establish values for your family. By writing a vision and values for your family you will strengthen your home by everyone being on the same page. 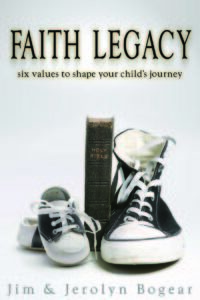 Learn to plan a Legacy Trip for your teenager to “pass the baton” of those values on to them.